One of the first X Series lenses introduced was the XF 35mm F1.4, which soon became one of the most popular lenses in the X Series system. With its excellent image quality, compact size, focal length, and price, it was an absolute workhorse of a lens, and to this day, it’s still one of my favorites. Instead of stopping there, Fuji has recently introduced another 53mm equivalent, the XF 35mm F2 R WR lens. This lens may be a stop slower than the F1.4 version but it also brings along with it the latest tech from Fujifilm, such as, weather sealing, and better autofocus all while being more compact and costing $399, which is essentially $200 less than the XF 35mm F1.4. Does this lens deliver the goods? Read on further to find out! At a 170g, the XF 35mm F2 R WR lens (B&H Photo/Amazon) is light but like many of the newer generation lenses from Fuji, this is a very well-built lens, and if you own the older XF 35mm F1.4, you will definitely notice the difference between the two in terms of build quality. The XF 35mm F2 is solid, and in many ways, this lens reminds me of the XF 90mm in terms of build with the two exceptions being size and weight. The lens’ exterior is all metal, the focus ring is smooth, and I particularly like how the aperture ring feels on this lens: it adjusts in third stops like pretty much all the XF lenses, and it rotates smoothly yet it still has just the right amount of resistance to prevent any accidental movement. Overall, one can describe the XF 35mm F2 as having a high end feel to it. It also doesn’t hurt that the XF 35mm F2 is a really good looking lens. You can get it in black or in a beautiful silver finish. In many ways, its design reminds me of the older 50mm Summicron IV with the vented hood, which is actually one of my favorite lens designs. Lastly, with eight seals, this lens is also weather and dust resistant which makes it a great match for something like the X-T1. It can also be used in temperatures as low as -10°C. ↑ The Fuji XF 35mm F2 R WR lens. ↑ Here’s a size comparison between the XF 35mm F2 and an older version of the 50mm Summicron. ↑ Here’s a size comparison between the XF 35mm F2 and the latest version of the 50mm Summicron. ↑ Weather sealing does come in handy :). Best of all, the XF 35mm F2 is compact and this is actually one of the biggest reasons why I’m a fan of this lens. I’ve mentioned multiple times in my blog that I don’t like the fact that some of the newer lenses from Fuji have been steadily increasing in size, which makes them sometimes feel out of balance with bodies like the X-E2 or even the X-T1 if the lenses are big enough. For instance, I love the XF 90mm, and it is definitely on my wish list but for me, it does feel big even on my X-T1. According to Fuji, the XF 35mm F2 has the smallest diameter of the X Series lens line up, which to me, is great news. I am glad Fuji is finally releasing compact lenses like this XF 35mm F2 again. In my opinion, a lens like this is one of the biggest reasons to join the mirrorless world. ↑ I absolutely love the compactness of this lens. ↑ Here’s the 35mm F2 mounted on the Fuji X-T1. In the photos, the XF 35mm F2 R WR lens (B&H Photo/Amazon) may not seem that much smaller than the XF 35mm F1.4 and at 187g, the XF 35mm F1.4 isn’t that much heavier but in use, it feels quite a bit smaller. I’ve had this lens mounted on my X-T1 for several weeks and together, they are easy to hide when you want to be more discreet. It feels so well-balanced too. Plus, since you’re not pointing such a large lens at everything, people tend to either look at you briefly, and carry on with what they are doing or don’t even notice you in the first place. In fact, after returning this lens, I tried my XF 35mm F1.4 again, and it felt kind of bulky, which is something that I would’ve never said before. ↑ The XF 35mm F1.4 (left) vs. the XF 35mm F2 (right). ↑ I believe you will notice the size difference even more if you view it from the top. Top view of the XF 35mm F2 (left) and the XF 35mm F1.4 (right). ↑ XF 35mm F2 mounted on the X-T1. ↑ XF 35mm F1.4 mounted on the X-T1. In my opinion, I think this lens would be perfectly matched with something like the XF 18mm. Focal length wise, you would be covered over a broad range, both lenses are fast, and best of all, they are some of the most compact lenses you can get for the X Series. Something like this lens, the XF 18mm, and maybe the Fuji XT-10 would be an excellent small kit in my opinion. In addition to it’s compactness, the autofocus is downright fast! Since my brother in-law is an Olympus OM-D user, we’ve had a little friendly rivalry for quite some time. He always brings up the autofocus capability of his system, and when he used the XF 35mm F2, he was definitely amazed. According to Fuji this lens can focus as fast as 0.08 seconds, and I don’t doubt it at all. Furthermore, I didn’t really have an problems with accuracy either. It also rarely had to focus hunt. Compared to the XF 35mm F1.4, the XF 35mm F2 is faster but I have to admit that nowadays, the XF 35mm F1.4 is no slouch either. The XF 35mm F1.4’s autofocus is a lot faster now than when the lens was first introduced. One thing great about Fuji is the crazy amount of useful firmware they always release, and the XF 35mm F1.4’s autofocus has clearly benefitted. But unlike the XF 35mm F1.4, the F2 version’s autofocus is also ultra quiet. In fact, I would say that this is one of the quietest lenses that Fuji makes right now. 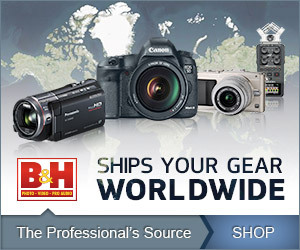 If you use the electronic shutter in the Fuji X-T1 (B&H Photo/Amazon), you will barely hear anything. It’s pretty incredible. You also do not hear the aperture blades chatter like with the XF 35mm F1.4, and because it has an internal autofocus system, the front element does not rotate. This is particularly useful if you use certain types of filters like polarizers. I’ve complained about so many lens hoods from Fuji because I just don’t like the fact that sometimes an overly large generic hood is used with their lenses but I actually like the one that comes with the XF 35mm F2 mainly because it matches the size of the lens. It’s a simple plastic screw on type but it works. Because of its small size, I can leave the hood on permanently. It never takes up that much room in my bag. If you look at it, it’s maybe about two or three filters thick. Best of all, you can snap the lens cap on while the hood is attached. However, for those who want a different look, there’s also a classic style vented metal lens, called the LH-XF35-2, which you can purchase separately. ↑ The XF 35mm F2 with the lens hood mounted. Like many of the X Series lenses, especially the newer generation ones, the XF 35mm F2’s image quality is superb. I still can’t believe this lens only costs around $400 because I feel you’re really getting so much more for this price. Vignetting is very well controlled even at F2, and so is flaring. In fact, I can’t even recall producing an image with any real significant flare at all. This lens also offers exceptionally nice contrast, it produces very three dimensional images throughout the aperture range, and I particularly like the color rendering of this lens. To me, it leans more towards the warmer side. I haven’t done a side by side comparison for this particular trait but I feel like the XF 35mm F2 produces a slightly warmer tone than the XF 35mm F1.4. As for sharpness, there really isn’t much to complain about because overall, it is outstanding. The edges are slightly soft around F2-2.8 but sharpen up by F4. Truthfully, it’s nothing to be concerned about, and I am just nitpicking because this is a review. Overall, this is one sharp little lens throughout its aperture range with peak sharpness, in my opinion, being around F4 to F5.6. Furthermore, the bokeh is creamy and smooth, and I’m sure the nine aperture blades in the XF 35mm F2 R WR lens helps. The background simply melts away as much as it can for a lens of this speed and focal length. At F2, images really have that nice “pop”. For me, if I had to pick, I would say that I’m still more of a fan of the XF 35mm F1.4 in this department but with that said, I would have no problems living with the XF 35mm F2’s bokeh. This is some of the nicest bokeh for a lens in this category and class. I’ll compare the XF 35mm F2 and the F1.4 version at a greater length in my comparison write up, which is coming soon where I’ll also have photo examples from each lens as well but I just wanted to say a few words for now. I’m sure there are people who are thinking about either trading their F1.4 version in for the XF 35mm F2 R WR lens or even thinking about getting into the X Series system and starting with this lens. Even I’m tempted by the XF 35mm F2. Overall, this is not only a fantastic lens to start with considering its price, it’s also a lens that can be used till Fuji decides to end the X Series system (if they ever do) because the qualities of this lens are simply superb. For instance, there is no doubt that the XF 35mm F2 is better built than the F1.4 version. I currently own the F1.4 version and when I went back to it, it just didn’t have the same solid feel of the XF 35mm F2. It was actually kind of disappointing. The focusing was noisy compared to the F2 version, I could still hear the aperture blades chatter slightly when it locked focus, and of course there’s the hollow feel I complained about numerous times. To top it off, the F2 version is weather sealed, it’s more compact, and as I mentioned before, I love the feel of the aperture ring. With that said, I am keeping the my XF 35mm F1.4 R lens for several reasons. For one, while the autofocus is faster on the XF 35mm F2, as I mentioned earlier, thanks to the numerous firmware updates, the XF 35mm F1.4’s autofocus is actually pretty fast. To me, it works great on my X-T1. I have no problems photographing a variety of stuff from portraits to street. In terms of size, the XF 35mm F1.4 has a larger aperture, so of course, it’s going to be a bigger lens. But with that in mind, it was never a large lens to begin with, and therefore still perfectly manageable to use on these compact X Series bodies, and perfectly discreet when you need it to be. At 187g, it also isn’t that much heavier than the XF 35mm F2 R WR lens (B&H Photo/Amazon). The other reason I’m sticking to my XF 35mm F1.4 is because I want the extra stop. I actually bought the XF 35mm F1.4 when it was first released with the X-Pro1 but traded it in for something else at a later date. I re-bought it a few months ago knowing the F2 was going to be release because I specifically wanted the F1.4 aperture. My favorite focal length has always been a 50mm, so to me, I want something that’s not only compact but also gives me as much flexibility as possible (even if it’s just a little) in that compact body. For instance, I like what the largest aperture can do for me in a photo. Some might argue that if I really wanted shallow depth of field, I could use the XF 56mm but sometimes there’s just not enough space for a short telephoto. Furthermore, the extra stop does help in dimly lit situations. An extra stop can mean that you’re shooting at 3200 ISO instead of 6400 ISO. For me, image quality is extremely important, and as many of us know, the XF 35mm F1.4 does not disappoint. I’ve been using this lens for a while now and I’ve always been extremely pleased with the results. With that said, I believe the XF 35mm F2 does beat it in this area (I will show plenty of examples for you to judge in my comparison write up) but if you’re not pixel peeping, and downright comparing the images from both lenses at 100%, it’s going to be pretty hard to tell. The XF 35mm F1.4 is already such a high caliber lens that at least for me, I am completely happy with what I get from it. But with all this said, don’t think I don’t want the XF 35mm F2. I would absolutely love one for all the reasons I mentioned above. If I didn’t own the F1.4 version already, I think my choice would be quite difficult. What I might do in the future is trade in my XF 35mm F1.4 for the F2 version IF Fuji releases the rumored ultra high speed 35mm F1.0 lens. Then I would also buy the high speed lens as well. Since the high speed lens would probably be pretty large, I would treat the F2 version as my workhorse or my go to 35mm, and use the ultra high speed lens for specialty purposes or when I want ultra shallow depth of field. Priced very well for what you are getting. Price is decent but it’s also around the cost of a used XF 35mm F1.4, which might make it hard to decide which one you would prefer. ↑ The XF 35mm F2 R WR lens is a great match with the Fuji X-T1. In my opinion, Fuji latest optic, XF 35mm F2 R WR lens is one of their best lenses to date. A lens like this certainly demonstrates how the company has progress with their X Series System in such a short time, and how they have been actually listening to their customer base. This lens really hits all the right marks; it’s well-built, it’s weather resistant, and it’s compact yet image quality does not suffer. In fact, it can be argued that image quality has been improved. To top all of that off, it’s also priced at $399. To me, for what you are getting, the price is totally reasonable. I would argue it’s even a steal. If you’re in the market for a 50mm equivalent, and anything faster than F2 isn’t that important to you, then this is definitely the lens you should consider. This is another winner from Fuji. That’s it for my review and thanks for taking the time to read it. If you’re considering buying the XF 35mm F2, and my review helped you decide, please help support this site by purchasing from one of the links below. Thank you for your support! Thinking about purchasing the XF 35mm F2 or already have? Can’t decide between the F2 or the F1.4 version? Feel free discuss it down below in the comments section! Thanks for stopping by and taking the time to read it! Yes, congrats again on your M 240 purchase, and I hope that you are enjoying it! It was a good thing that you bought some M mount lenses while you had the Fuji system. To me, the 35mm F1.4 is already a fantastic lens that like you, it’s going to take a lot for me to make the switch, especially since I want the extra speed. With that said, I have to admit that it is tempting. Everything else like the autofocus, and the build quality has been noticeably improved. I appreciate you leaving a comment, and I hope to hear more about your journey with the M system, so keep me updated. Okay, I’m one of the people you mentioned who’s still pretty new to the Fuji X system, and I’m curious about your take on the following. I currently have 2 lenses: the 27mm F2.8 and the 56mm F1.2. I chose the 27mm because it is quite compact, has a pretty fast normal-ish field of view with good sharpness and autofocus, and was a really good price when I got it. I chose the 56mm because I like the medium telephoto field of view, and because the lens is fast and awesome. I know that either 35mm might push the 27mm into more of “smallest kit possible” role for me, e.g., when out riding my bike. On some level I see the 35mm F2 as filling a similar role to the 27mm: normal-ish FOV, quick autofocus, pretty fast but not crazy fast lens for general use. And I see the 35mm F1.4 as being similar to a smaller 56mm in a normal-ish FOV. While there are definitely advantages to the F2 (WR, autofocus, quietness, more compact feel), as you mention, and I might really like that lens, I also know there have been times using the 27mm in lower light that I wished for the speed of a sub-2.0 aperture in a legitimately compact lens. And the 35mm F1.4 is still the smallest sub-2.0 lens in the system. And of course I enjoy being able to create shallow depth of field. 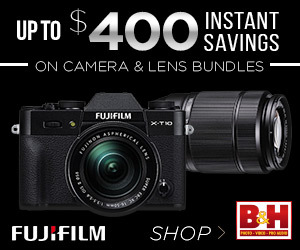 If Fujifilm USA could rent me both at once, I’d be tempted to do that. But since they can’t yet, I’m trying to make a decision while the current rebate (on the F1.4) still applies. There’s my variation of the 35mm dilemma – trying to figure out which one best compliments my current pair. Any thoughts? Thanks for the very solid review of the F2. Thanks for taking the time to read my review! It took me a while to answer your question because if I didn’t have either, I think it would be pretty hard for me to decide on which lens I would buy as well. Ultimately, the decision is up to you of course but if it was me, I would probably go for the F1.4 version. Right now, my Fuji kit includes the Zeis Touit 12mm, the XF 18-55mm, the XF 35mm, the XF 60mm, and the XF 56mm APD. I’m trading in the 60mm because I have the 56mm but I’m kind of in the same situation as you. I want a lens in the middle where I have the luxury of speed in a small package. I owned the 35mm when it first came out but traded it for some other gear. The XF 18-55mm didn’t fill the void my XF 35mm left because it’s a larger lens, and it’s a couple of stops slower. The XF 56mm is a short tele. Therefore, I ended up buying the XF 35mm again. For me, if I owned the 27mm, then I already have a compact lens with as you said, a normal FOV. So, even if the 35mm F2 is a stop faster, I just don’t think it would make as much of a difference as owning the XF 35mm F1.4. This is just my thinking and others may vary of course. What you could do as an option is maybe trade in the 27mm for the 35mm F2 but then you would probably need something a bit wider as well since the 27mm is kind of a middle to wide lens, and taking that out of the equation means your widest lens is now a 53mm equivalent. I want to be as honest as possible with you, so just keep in mind all the advantages of the XF 35mm F2. It makes the lens noticeably different than the F1.4 version. Build, focus, etc. is better. In terms of image quality, the XF 35mm F2 is better but how much better? I guess that question really depends on the individual. To me, the XF 35mm F1.4 was never a bad lens; in fact it’s an excellent lens optically so, I’d rather have the extra stop. Do I miss the build, autofocus, etc.? Most definitely but for me, that extra stop fits my Fuji kit better. I’ll be posting a comparison with images from both lenses soon (most likely this coming week). If you’re interested, stop by but I know you mentioned there’s a rebate on the XF 35mm F1.4, and if you do decide to buy that lens, you should definitely not miss that. I hoped I help in some way, feel free to send me any other questions you may have. Thanks for stopping by! These are some rather nice images. Are these SOOC jpegs? Thanks! These were actually processed from raw files with Camera Raw. I totally agree. It’s a top notch optic and best of all, it’s reasonably priced. I hope you enjoy it! hmm, wondering how the 35mm 2.0 compares to the X100T with the tele lens. If weather sealed is not an issue. That would be a really nice comparison. One that I’m definitely interested in. I’ve had the lens for about a month and it is glued to my X-Pro 1. I’m very very pleased with the results. That is one little and sharp lens. I don’t miss the extra stop the f1.4 would have given. Nor do I miss the weight or added cost. In fact, if Fuji comes out with a compact 56 f2 WR I’ll be very tempted. Great to hear from you and congratulations on your purchase! The XF 35mm F2 is an excellent lens. I hope they come out with a 23mm F2. I think it would be a nice alternative to the current version. The F1.4 version is excellent optically but sometimes it feels a little too big for daily shooting. I was just looking at the Fuji Lens Roadmap at the 23 f2 is there for later this year. Definitely looking forward to reviewing that lens when it’s released :). I was planning to get a 23 f2 because of wider field of view, but I am reading more and more user comments that it’s not sharp from f2 to f5.6 while the 35 f2 is sharper. Add to that we can find (still rarely) a used 35 f2 lens for a sweet price, as my budget is tight now (gonna invest in a new graphic card) I want a good and all around lens with superb image quality for mainly landscape photos. I saw your review of the 27mm but it looks the 35 f2 has still superior IQ. Do you think the 35mm will be limiting for landscape, or I still can use stitching trick for wider view in some cases? Not a problem! Great to hear you’ll be reading my review. I’ll try my best to write up a decent and comprehensive review. Talk soon! Love your photos, 35mm F2 has very fantastic sharpness. I must have one. Thanks a lot. Thanks and apologies for the late reply! I was away on a cruise, and the internet wasn’t great. As for this lens, it’s one of Fuji’s best. You should definitely consider it!